Lemon Cardamom Cookies – Sugar Free-Keto-Low Carb: 0.66g carbs each. Only a few weeks to go before Christmas is upon us! I have a keto-licious biscuit recipe to share with you today. If you use star shaped pastry cutters, you too can make beautiful, edible, Christmas tree decorations. A miniature cookie tree sitting in the middle of your Christmas dinner table is sure to wow your guests! But of course you can make these biscuits any time of the year, in any shape you fancy. The Lemon Cardamom Cookies – Sugar Free-Keto-Low Carb are incredibly easy to make. Bake a sample batch and taste for yourself how good they are. Using lemon zest and cardamom gives the biscuits a unique zing and subtle spiced flavour. Not spicy enough for you? Double or triple the amount of cardamom and taste the difference! It’s a wonderful, delicate spice with a unique fragrance. But that’s not all, as it also boasts excellent health benefits. 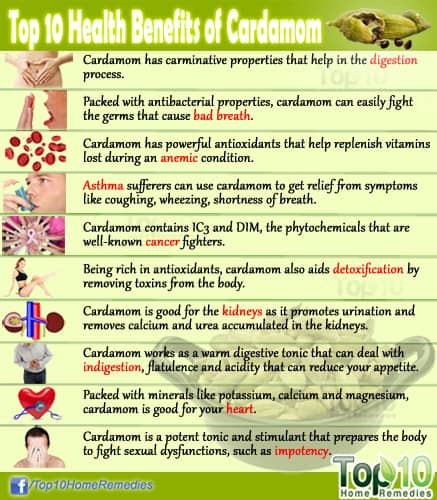 Cardamom contains lots of essential oils, vitamins and minerals. It is particularly high in calcium, copper, iron, manganese and zinc. You can read more about its health properties here. The spice is widely used in Indian cuisine. It is a relatively new introduction in my kitchen, but one that I’ve quickly become very fond of. There is a black cardamom spice which is more pungent and tends to be better for savoury dishes. Because I’m not a lover of potent spices, I use green cardamom for both my sweet and savoury recipes. Lemon Cardamom Cookies – Sugar Free-Keto-Low Carb: How to Make them. First of all, starting with butter at room temperature will make the job easier. Once you’ve put all ingredients into a large bowl, knead for a few minutes to combine everything well and get a pastry-like dough. Next, wrap the dough in cling film and leave it in the fridge to cool down for at least 1 hour. Then, roll out your biscuit dough, cut out your desired shapes and bake. Finally, decorate with Royal Icing or anything else you might fancy. (This step is optional). The recipe will make about 28 average size cookies. I used different size pastry cutters and managed to end up with 36. These delicately flavoured, Lemon Cardamom Cookies – Sugar Free-Keto-Low Carb literally melt in the mouth. They are great as they are, without any adornments. However, if you choose to decorate them, the recipe below gives instructions for easy sugar-free Royal Icing. Delicious, delicately flavoured cookies that you will want to bake all year round. A great festive idea when hanging from a miniature tree on the Christmas dinner table. Everyone will love them! beat butter, stevia and erythritol until smooth. stir in cardamom (use 2-3 tsp if you prefer a stronger flavour) and grated lemon zest. incorporate ground almonds, lupin flour and salt. knead until well amalgamated then wrap in cling film and refrigerate for at least 1 hour. pre-heat oven to 160C fan (180C static oven or halogen oven). place pastry over a sheet of parchment paper and cover with another sheet. roll out to 5mm then cut out desired shapes. re-work cut offs until all the dough is used up. place over tray(s) lined with parchment paper and bake for about 10 mins (11 mins in halogen oven) or until you see them starting to become golden. remove from oven and let the biscuits cool down completely before handling. whisk egg white until firm. add Sukrin and water and whisk to a thick paste consistency (add a little more warm water if too dense). transfer to a piping bag and decorate your biscuits as you wish. leave to dry for a couple of hours before handling. Keep the dough cold as you cut out your biscuit shapes. Place them on your lined baking tray and transfer the tray to the fridge while you re-work the remaining dough. Once all the biscuits are ready to go in the oven, you can poke holes using a skewer (without handling them). To hang them on a tree, as I did, simply thread string through the holes, or use long s-shape pins. Handle with care as the biscuits are fragile. Hello, I just found and joined your blog after seeing these delicious looking cookies on Pinterest! Two of my all time favorite flavors, cannot wait to try them. I’m from the USA and have never heard of Lupin flour. When I click on the word Lupin it takes me to Amazon and numerous items come up. The only flour that appears is Sorghum, would that be the equivalent of Lupin flour? By the way, you and I were born the same year and you look absolutely fabulous woman! Before I read your story, and only saw your photo I thought you were maybe late 20’s early 30’s, seriously! If I could look half as good when I get the rest of my weight down I will be quite content. You’re just lovely! Thank you so much for the links, I just ordered some Lupin flour. I’ve never heard of that before, so I’m excited to try it. That’s wonderful, Lisa. Thank you. People like you make all the hard work of blogging worthwhile. Again, I’m here if you need me…baking can be hit and miss sometimes.